Non-Compete Agreements are generally disfavored by the Courts. However, they have been granted protections in Texas under the Texas Non-Compete Act. Although fully recognized in Texas, they must generally be very limited in scope and reasonable under the circumstances. If you are purchasing a company, one of the most important sections can be the non-compete. If you purchase a business from a seller who is well known in the community without including a non-compete, you may find yourself competing against that seller again in the future if they decide to re-enter the same industry again. The seller and their business has presumably built up goodwill and name recognition. That is probably part of what drew you to want to buy the business in the first place. Now, think of potentially having to compete with that person you just paid to purchase their company and they steal all their business back by coming back into the market shortly after the sale. That would be terrible and that has happened in the past. The following list identifies common points for buyers and sellers that our firm emphasizes during both the negotiation of a non compete agreement as part of the sale of a business and litigation that may arise out of a non compete agreement after the sale. These are all based on the law in the State of Texas and how these specific points have been treated in the past. We call them “pitfalls”. Don’t fall into one. How will the “competitive activity” be defined in the non compete agreement? Simply put, the buyer will want the competitive activity defined as broadly as possible. The seller on the other hand will want to make sure that the definition does not cover activities that the company did not engage in before the sale. What will aid the parties in the negotiations will be to have fully outlined the activities tied to the company’s assets and operations. This will help both parties understand the scope of any non-compete agreement and minimize the chances of litigation. Pursuant to Section 15.50, any restriction in a business-related non compete agreement must be reasonable. Texas courts have interpreted business non competes more broadly than employment or personal services non compete agreements. Why? Because although businesses are considered “people” for tax purposes, they are still companies and not really individual human beings. Therefore, they are treated differently in this context. Therefore, a broader geographic restriction or longer time period that would, in an employment context, be unenforceable may be upheld in Texas. 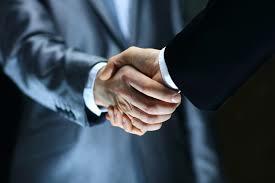 It just depends on the factors provided in the Statute and the overall needs of the business. The geographic area must be tied to a legitimate business interest. The geographic restrictions in a business non compete agreement must be tied to a legitimate business interest and must reasonable as they relate to that business interest. Thus, for example, including a non-compete that says that the seller cannot engage in selling insurance at all in the United States when it was a local insurance agency doing business only in Kaufman County, Texas is probably not a reasonable geographic restriction. Have a question about Non-Compete Agreements in the Dallas County, Kaufman County and Rockwall County Areas? Call the experience business law attorneys at Guest and Gray, P.C. Our years of experience helping local business owners speaks for itself. Don’t wait. Call Today! (972) 564-4644.